Prof. Rajkumar Buyya is a Fellow of IEEE, Professor of Computer Science and Software Engineering and Director of the Cloud Computing and Distributed Systems (CLOUDS) Laboratory at the University of Melbourne, Australia. He is also serving as the founding CEO of Manjrasoft, a spin-off company of the University, commercializing its innovations in Cloud Computing. He has authored over 525 publications and seven text books including “Mastering Cloud Computing” published by McGraw Hill, China Machine Press, and Morgan Kaufmann for Indian, Chinese and international markets respectively. He is one of the highly cited authors in computer science and software engineering worldwide (h-index=112, g-index=230, 62,400+ citations). Recently, Dr. Buyya is recognized as “2016 Web of Science Highly Cited Researcher” by Thomson Reuters. Software technologies for Grid and Cloud computing developed under Dr. Buyya’s leadership have gained rapid acceptance and are in use at several academic institutions and commercial enterprises in 40 countries around the world. Dr. Buyya has led the establishment and development of key community activities, including serving as foundation Chair of the IEEE Technical Committee on Scalable Computing and five IEEE/ACM conferences. These contributions and international research leadership of Dr. Buyya are recognized through the award of “2009 IEEE Medal for Excellence in Scalable Computing” from the IEEE Computer Society TCSC. He served as the founding Editor-in-Chief of the IEEE Transactions on Cloud Computing. He is currently serving as Co-Editor-in-Chief of Journal of Software: Practice and Experience, which was established over 45 years ago. Dr. Eesa Bastaki received his Bachelor’s & Master’s degrees in Electrical Engineering from the University of California, San Diego and Ph.D. from the University of California, Irvine. he worked as a Teaching Assistant in UAE University from 1981 until 1989, and has been a faculty member in the EE Department at UAE University since 1989. He was the Chairman of the Energy Section during 1990-1991, and Chairman of the Technology Section during 1991-1992 at the Technology & Energy Research Center, UAEU. He was the Assistant Dean for Student Affairs from 1992 to 1996 and from 1998 and 2000 was the Director of the IT Center at UAEU. He was the Director of Education & Technology to DSOA. Additionally, he is one of the founders of DSO & RIT-Dubai, and the founder of the IT Center in Al-Ain Municipality. Until Sept 2012, he was the CEO of ICT Fund. He was the Chairman of IEEE, UAE Section and now is the Honorary Chair. Dr Bastaki is a member of Advisory Board of many universities (AUD, AUST, AUS, UWoD, UoS, RIT-Dubai and AURAK), and is a board member of UQAIB (University Quality Assurance International Board) at KHDA. He is the Chairman of the Technical Committee of Emirates Energy Awards. He is a board member of Cultural & Scientific Association and the Chairman of the Board of Emirates Science Club. Dr Bastaki is the recipient of Emirates Excellence Award for Arts, Literature & Science in the science category in 2009 which is the highest award in UAE. His research interests are Digital Communications, Coding, Spread Spectrum Communications and Synchronisation. Dr. George A. Papadopoulos holds the (tenured) rank of Full Professor in the Department of Computer Science, University of Cyprus. 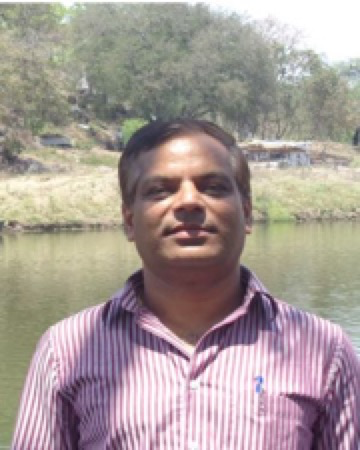 His research interests include Advanced Software Engineering, Mobile and Ubiquitous Computing, Cloud Computing, Open, Distance and E-Learning, Distributed and High Performance Computing, E-Business, E-Health, Internet Technologies and Service Oriented Computing. He has published over 150 papers as book chapters or in internationally refereed journals and conferences, he serves in the Editorial Board of 5 international journals and has served as a Chair or Program Committee member in more than 100 international conferences. 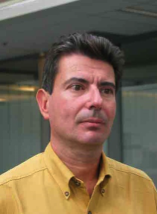 Professor Papadopoulos is a recipient of an 1995 ERCIM-HCM scholarship award. He has been involved or is currently participating, as coordinator or partner, in over 40 internationally and nationally funded projects (total budget for his participation more than 5 MEURO) and he has been invited by the E.U. as an Expert Evaluator or Reviewer more than 50 times. He is the Director of the Software Engineering and Internet Technologies (SEIT) Laboratory (http://www.cs.ucy.ac.cy/seit). More information can be found in his personal web site at: http://www.cs.ucy.ac.cy/~George. Prof. Peter Wellstead was born in 1944, in St Albans, England and was educated at Manland Secondary Modern School in nearby Harpenden. At the age of 16 he was apprenticed to Marconi Instruments Ltd, St Albans, initially as a craft apprentice and later as a student apprentice. During this time he studied part-time at St Albans College of Further Education and (with the assistance of Marconi Instruments and County Scholarships) studied by block-release for a degree in Electrical and Electronic Engineering at Hatfield College of Technology. After graduating with first class honours in 1967, he took a Masters Degree in Automatic Control at Warwick University, followed by a Ph D. in Engineering Science. In 1970 he went to CERN as a Technical Fellow, moving to the University of Manchester Institute of Science and Technology (UMIST) in 1972 to work at the Control Systems Centre, eventually becoming Professor of Control Engineering. During this time he also served as Lucas Automotive Professor of Control Engineering and was Royal Society Industrial Fellow. In 2003 he changed from studying the control of engineering systems to living systems. He joined the Hamilton Institute in Ireland, initially as an E.T.S. Walton Fellow, and then as Science Foundation Ireland Research Professor of Systems Biology. He retired at the end of 2009 and now works as an adjunct professor and as an independent scientist. His research objective is to understand the causes of Parkinson’s disease and finding preventative and protective strategies against the condition. See the Hamilton Institute On-line publications tab for recent publications and books. Prof. Roxana Radvan received the BS degree in Applied Optics and Fine Mechanics in 1990 from “Politehnica” University from Bucharest and her doctoral degree on non-conventional optics in 1996 from Technical Army Academy of Bucharest. She issenior researcher at National Institute of Research & Development for Optoelectronics INOE 2000 and is working on optoelectronics application on cultural heritage investigation and restoration/conservation. Member of LACONA group since 2003, member of Balkan Archaeometry Network, chair of e-Culture Session of Developments in E-Systems Engineering Conference.She coordinated the national project for the ART4ART mobile laboratory, that implements polyvalent services on various restoration yards (monitoring, investigation, diagnosis, intervention, post –intervention monitoring, prediction). She is now involved inimplementation of IT instruments for on-line access to infrastructure. Prof. Abdullah M Alshamsi, was appointed Vice Chancellor of The British University in Dubai (BUiD) in February 2007. Under his leadership, BUiD has expanded its offering of postgraduate programmes, recruited additional specialized faculty staff and experienced increased enrolments. In 1980 Alshamsi graduated from Eckerd College, St Petersburg, USA with a Bachelor of Science (Mathematics), followed by a Bachelor of Civil Engineering with Honors in 1982 and a Masters in Civil Engineering in 1983 from Georgia Institute of Technology, Atlanta. Alshamsi went on to complete his PhD at Leeds University (UK) in the area of Concrete Properties in Hot Climates in 1988.Prof. lshamsi has published numerous journals world wide in the areas of effectively using concrete materials and developing sustainable structures, and has presented at international educational and specialized industry forums around the world.A Member and Chair of numerous committees and task teams at UAE university level, Prof. Alshamsi is also serving on various committees nationally and internationally including The Rashid Bin Humaid Award. He is also an Associate Member of ACI 305 Hot Weather Concreting Committee and the head of the UAE Building Materials Specification.With over 20 years experience in academia as well as practice in the design and construction of reinforced concrete structures, Alshamsi brings to BUiD a wealth of expertise and direction to a highly regarded institution that holds unlimited scope for growth. In i 1989 prior to his appointment at BUiD, Alshamsi joined the UAE University College of Engineering where he was promoted to the role of Professor of Civil Engineering in 2002. In 1989 prior to his appointment at BUiD, Alshamsi joined the UAE University College of Engineering where he was promoted to the role of Professor of Civil Engineering in 2002. Prof. Panos Liatsis graduated with the Diploma degree in Electrical Engineering from the Department of Electrical and Computer Engineering at the Democritus University of Thrace, Greece. He received the PhD degree in Electrical Engineering and Electronics from the Control Systems Centre at the University of Manchester (UMIST). Prior to joining the School of Engineering and Mathematical Sciences at City University London in 2003 as a Senior Lecturer and Director of the Information and Biomedical Engineering Centre (IBEC), he was a Lecturer in the Control Systems Centre at UMIST. Professor Liatsis’s research interests include pattern recognition, image processing and computer vision, neural and evolutionary systems with applications in biomedical image and signal processing, intelligent transportation systems and cultural heritage. His research is funded by the Engineering and Physical Sciences Research Council, the European Commission, the Department of Trade and Industry, and the Royal Society as well as hospitals and industry. He has published over 100 research contributions in high-impact factor journals, books and international conference proceeding. He was the Editor of two international conference proceedings and a guest editor for leading journals in his field. He is in the International Program Committee of various international conferences, including the European Signal Processing Conference (EURIPCO), the International Conference on Systems, Signals and Image Processing (IWSSIP), the EURASIP Conference on Speech and Image Processing, Multimedia Communications and Services (EC-SIPMCS), and the International Workshop on Inductive Modelling (IWIM). Paulo Lisboa is Professor in Industrial Mathematics in the School of Computing and Mathematical Sciences. He heads the Department of Mathematics and Statistics and the Statistics & Neural Computation Research Group.He holds cross-Faculty positions as institutional link in the R&D Executive of the Royal Liverpool and Broadgreen University Hospitals NHS Trust and as Research Professor in the St. Helen’s and Knowsley Teaching Hospitals NHS Trust. He is visiting professor in the Centre for Public Health, chairs the steering committee of the Centre for Health and Social Care Informatics and co-leads the Medicine and Therapeutics network in theInstitute for Health Research.He has over 200 refereed publications and 4 edited books. Since 2001 his research has generated external funding of over £1.25m from the Research Councils, European Commission and long-standing industrial contracts.He chairs the Task Force on Medical Data Analysis of the IEEE Computational Intelligence Society Data Mining Technical Committee and co-chairs the International Neural Network Society’s Special Interest Group on Computational Intelligence for the Analysis of Biopatterns, which followed leadership of the Cancer track in a FP6 funded Network of Excellence. He is associate editor for Neural Networks, IET-Science Measurement and Technology, Neural Computing Applications, Applied Soft Computing and Source Code for Biology and Medicine.He has chaired the Healthcare Technologies Professional Network of the IET and served in the Royal Academy of Engineering’s UK Focus for Biomedical Engineering. He is an expert evaluator for the European Community DG-INFSO and senior consultant with global organisations in the manufacturing, medical devices and clinical research sectors.After completing a Ph.D. in Theoretical Physics at Liverpool University in 1983, he was a post-doctoral fellow at Bristol University before joining the electricity generation industry to research into process control, which he taught at Liverpool University from 1987. In 1996 he was appointed to the chair of Industrial Mathematics at Liverpool John Moores University. He was Head of the Graduate School during 2002-7, which carried institutional responsibility for academic standards in postgraduate research programmes and for strengthening the research culture across the University. The role and operation of the Graduate School received a mention for good practice in the 2003 Institutional Audit by the QAA.